You are currently browsing the tag archive for the ‘footpaths’ tag. Sometimes I get annoyed with Marrickvile Council & sometimes I think they do such fantastic things for our environment that I want to become their publicity officer. Today was the latter. 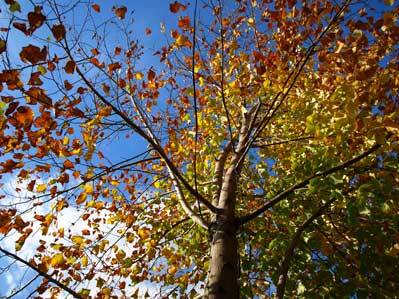 It is National Tree Day. Council arranged a National Tree Day working bee for members of the community to volunteer by planting the new area currently being renovated at Steele Park, Illawarra Road Marrickville South alongside the Cooks River. My initial impression when I arrived was one of astonishment. I had been expecting to see a small area that was to be a salt-water wetland. Instead before me were large decorative swales, at least 2 of them, with a couple more being built. One looks like a heart before it takes a winding route under a new pedestrian/bike path/bridge before reaching the Cooks River. The car park has been removed, the soil has been landscaped to facilitate the swales & new trees have been planted. Council supplied gloves & spades & put on a barbeque. We were given on-the-spot OH&S training before we joined around 60-100 other people to plant native grasses, ferns, shrubs & seedling trees. The work was easy because the soil was wet after the recent rain. It looked like 4/5ths of the plants were in the ground by the time we left. If you haven’t done this before, I’d recommend it as a nice way to spend a couple of hours. People were friendly, the work was not back-breaking & the food was probably good, though we didn’t stay for that part. 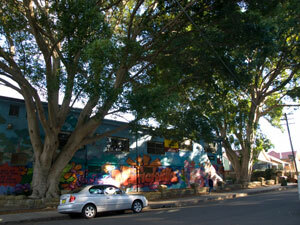 It was good to take part in beautifying this part of Marrickville. 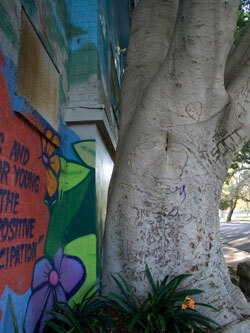 There are a number of environmental programs in Marrickville LGA that rely on volunteers. 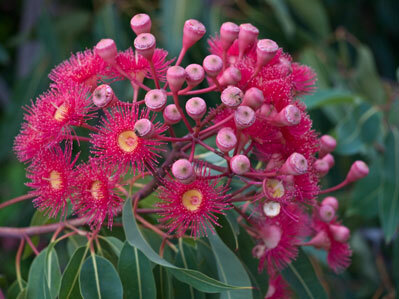 For information contact Marrickville Council’s Biodiversity Coordinator 9335-2222. I predict Marrickville Council will win awards for the landscaping & environmental work at Steele Park. When they do, I’ll post a reminder to say I said it first. If this is any indication of what the waterplay section is going to be like, Steele Park is going to be beautiful. As I write this it is raining – excellent for today’s new plants. Showing a few shots of the swales. Second photo down on the right shows the salt-water wetland & the photo bottom left shows permeable footpaths. The Hornsby Advocate wrote last week about a brilliant new stormwater management plan by Hornsby Council to filter stormwater & water street trees at the same time. Hornsby Council will install 3 tree-pits. 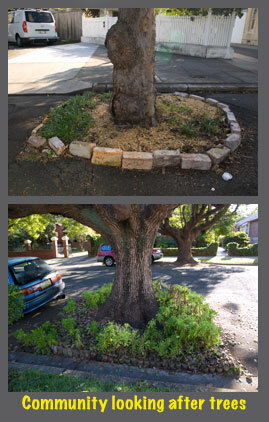 These tree-pits capture stormwater from specially installed gutters. The stormwater is then filtered through soil, sand & gravel. It’s such a simple idea, one wonders why this technique hasn’t been used before & why it isn’t put in place with all new street tree plantings. It would certainly go a long way to preventing tree deaths due to lack of water. The paper published a diagram of the tree pits. Unfortunately I can’t post the picture here due to copyright, but it is well worth a look. New footpath in Canterbury LGA & not one street tree planned. A cement desert. We went to Berowra Waters today, which required driving up the Pacific Highway. The last time I did this I wrote about the street trees. This time I wanted to see specifically what the differences were between the Pacific Highway & the sections of Princes Highway & Parramatta Road in Marrickville LGA. There were a number of noteworthy differences. 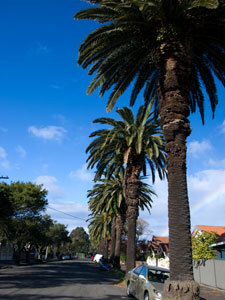 The Pacific Highway has thousands of street trees along its length. A significant number of these trees are Eucalypts. They cascade over the highway, many having branches which cross over 3 lanes & sometimes as far as the opposite side of the highway. Bottle Brushes are not the dominant street tree, with most trees being of a taller growing species. Many of the street trees are 1/3 higher than the power poles & thick trunks are quite common. 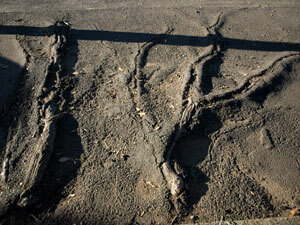 The street trees planted in shopping strips spilled out from under the awnings & loomed over the highway. Naturally to achieve this they did not have straight trunks & they have not removed because of this. Much of the Pacific Highway has a grass verge with a narrow footpath. Only the shopping strips are paved or cemented. The grass verge serves to soften the environment, which is quite an achievement considering the Pacific Highway is one of the top 10 heavily trafficked roads in Australia. I watched the verge of the Highway for its length wondering how they were managing with far less cement. I noticed the footpaths were narrower than in the Inner West & many trees hung over the path requiring any pedestrians to either duck or weave their way around the tree. I actually saw this happen & it appeared to cause no difficulty for the pedestrian who was a woman over 50. So very different from here, where just last week a council worker took to our fence with a whipper-snipper to hack away 20 centimetres of errant camellia which protruded out from under the fence. 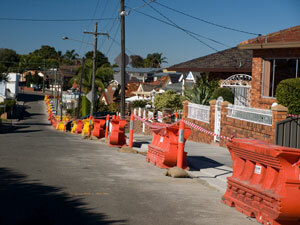 Considering the footpath outside our fence is a wide one for the area, I thought this was overkill. So do we sanitise & control nature more than they do on Sydney’s North Shore? I think we do. In direct opposition is our section of the Princes Highway & Parramatta Road, both of which are an eye-sore in my opinion. The Princes Highway cannot possibly get uglier & being so close to the airport, it is one of the gateways to Sydney. The roads directly surrounding the airport were heavily planted with street trees, shrubs & flowers for the 2000 Olympics. 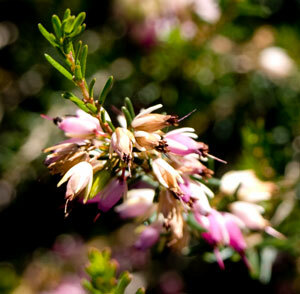 In the main, they still look good & are maintained by Botany Council. I doubt once the visitor leaves these roads & comes to the Princes Highway that they will have a favourable impression of the area. 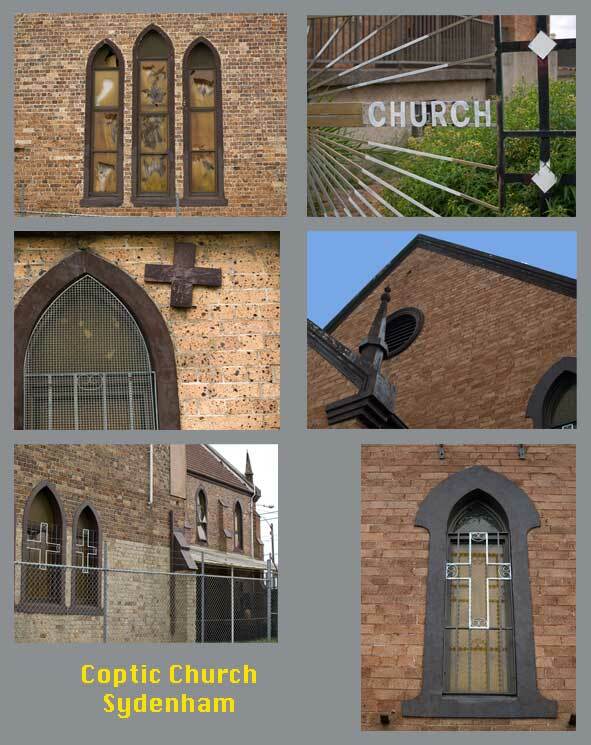 The Princes Highway is in the main a worship of cement. Soot stained, dirty cement. One can count the street trees & they are a sad, straggly lot. There is a gross lack of green infrastructure. This changes when the Princes Highway comes under the jurisdiction of City of Sydney Council at one end & Rockdale Council at the other. For a green council, Marrickville seems to be ignoring this stretch of highway. The same can be said for Parramatta Road, which is stark in its lack of green infrastructure, though it is slightly less ugly than the Princes Highway because of the type of grey infrastructure (some may debate this). 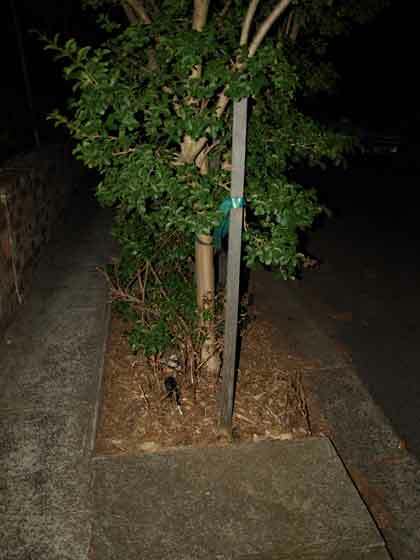 Again, Leichhardt Council & City of Sydney Council have planted threes where Parramatta Road comes under their control, though City of Sydney Council has done far more work & planted many more street trees. If City of Sydney, Rockdale & Leichhardt Councils can plant street trees along these main roads, why can’t Marrickville Council? Why do we need so much cement? 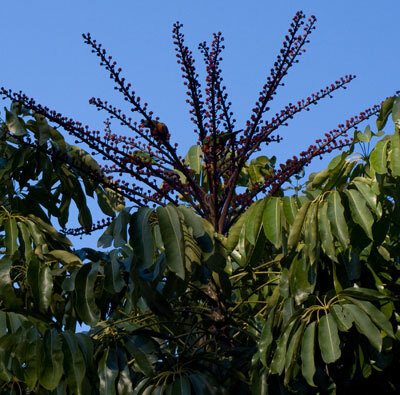 Trees help the longevity of grey infrastructure like cement footpaths because their shade protects from the harsh sun. We also know that roofs, roads & footpaths cause the heat island effect & trees lower this. Temperatures can be 9 degrees cooler in the shade of a tree. The North Shore is deemed classier. I think this is not because of the housing stock, but because of the plentiful tall trees & the significant green canopy. Friends have told me they moved to the North Shore because of the trees. Balmain & Paddington were built as working class suburbs as were those in Marrickville LGA, yet both these suburbs are regarded as better suburbs & their properties are generally worth more. Why? Is it the presence of water? Being close to the city? 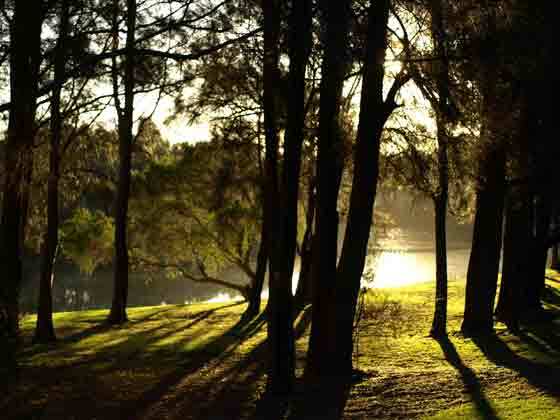 Perhaps, but Marrickville LGA is also close to the city & has its own beautiful Cooks River. I think it is because of the trees. On the drive back from Hornsby, the closer you get to Marrickville the more you notice the trees thin out, get shorter, look less healthy & street tree after street tree have been severely hacked. The trees on the North Shore aren’t hacked in this way.